The final contract is to be inked this year, according to a senior Russian defense industry official. Indonesia and Russia purportedly have finalized a contract for the procurement of an unknown number of Russian-made Su-35S ‘Flanker-E’ multirole fighter jets for the Indonesia Air Force (TNI-AU), according to Russian media reports. “Prior consent has been reached on the contract to deliver Su-35 to Indonesia, it will be (signed) this year,” said Viktor Kladov, the director of Rostec’s international cooperation and regional policy department, on June 6, according to TASS news agency. Indonesian officials have so far not confirmed that a deal has been reached. Over the past two years, Russian defense industry officials have repeatedly announced that the signing of a final contract was imminent only to find the Indonesian government holding up the conclusion of the agreement for various reasons including disagreement over offset obligations and technology transfers. First, Indonesia considered buying 16 new warplanes. This number went down to 10 as talks progressed. According to press reports, both sided eventually settled on eight, with an option of procuring two additional Su-35s in the future. The contract under negotiation also includes pilot training and knowledge transfers through a military exchange program. [I]n January 2017, Indonesia’s new Air Force chief, Air Marshal Hadi Tjahjanto, made it clear that no selection has been made so far. The TNI-AU is still considering Western models including the SAAB JAS39 Gripen from Sweden and a more advanced variant of the F-16 Fighting Falcon combat aircraft. In total, the TNI-AU intends to procure at least 16 new fighter jets for an estimated $1.5 billion. 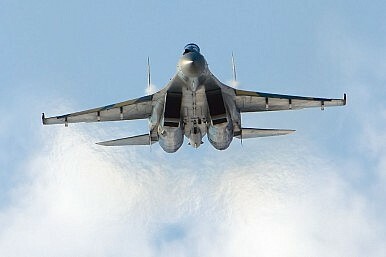 During the visit of a Russian delegation to the Indonesian Ministry of Defense in May, Indonesian defense officials said that the Su-35 fighter jet is still under evaluation by the ministry’s procurement team. The Indonesian defense minister recently announced that a much anticipated defense deal will finally be concluded this November.